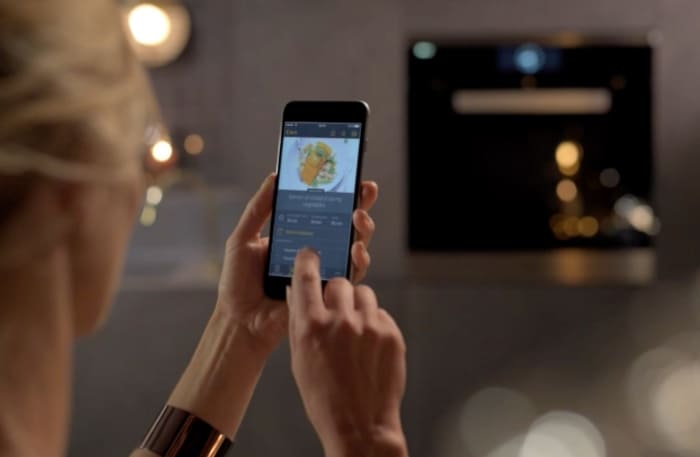 Can technology disrupt the way we cook? Having Italian origins, this question lies very close to my heart. 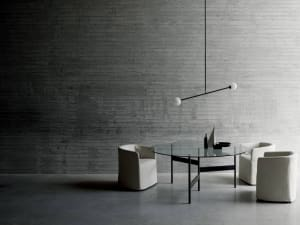 I looked for an answer while visiting Milan Design Week and I found some pretty strong evidence! Want to impress your guests with a new complex dish? 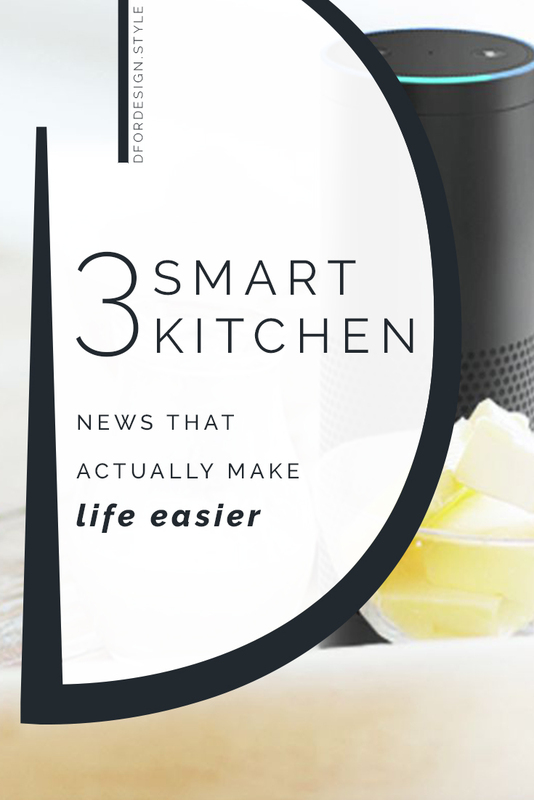 Smart kitchen appliances can come to rescue! The new generation of cookers and ovens comes indeed with the ability to follow cooking directions automatically. 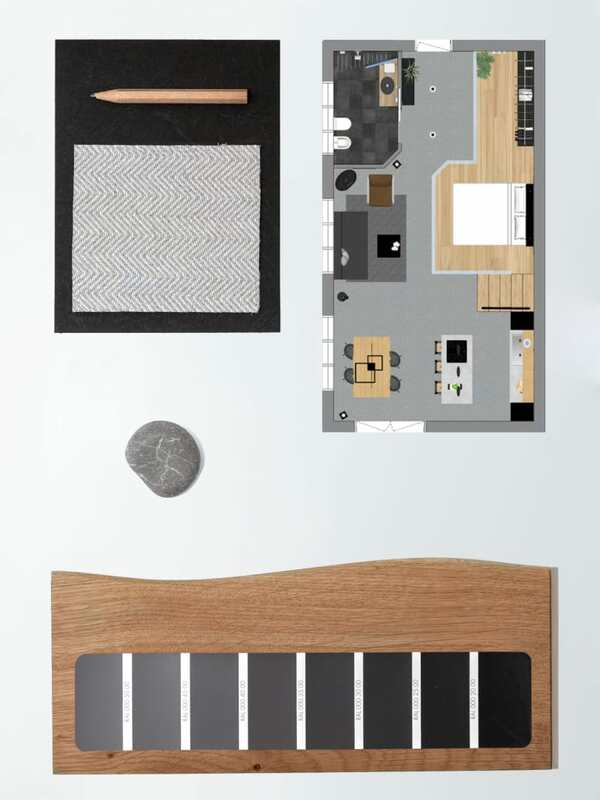 And an intuitive touchscreen menu makes the user-to-appliance communication really simple. Once a recipe is selected, the appliance alone quantifies the weight of the food to cook and sets powers and timings accordingly. At the same time, new smart hoods switch on and off automatically when they detect smokes and smells in the air. 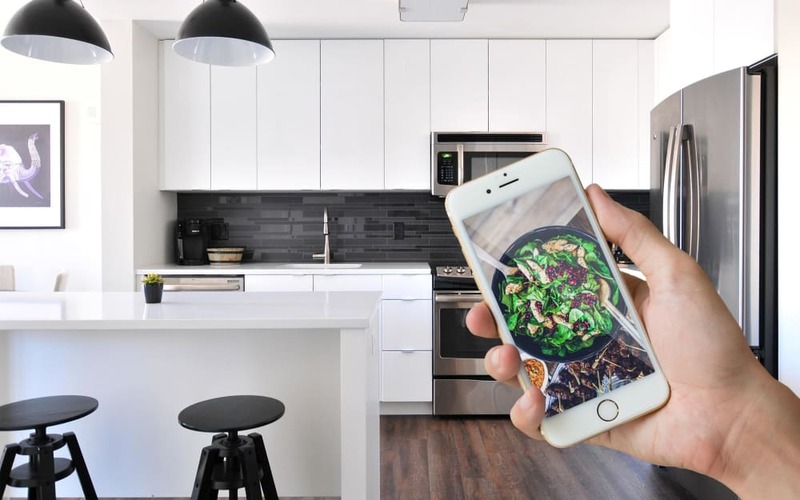 These smart kitchen appliances come with a number of pre-set recipes that still allow a certain degree of personalization, like the choice of meat cooking levels. But a whole list of (even pretty complex) dishes can easily be accessed via the manufacturer app. One click and the recipe is sent to the appliance, that will then handle the cooking job independently. For top chef results! 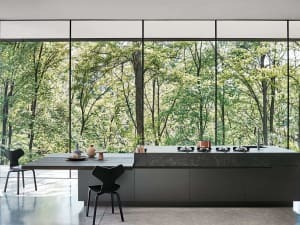 Smart kitchen innovations are investing every corner of the kitchen and our common concept of fridge is also being challenged by the newest hi-tech options. 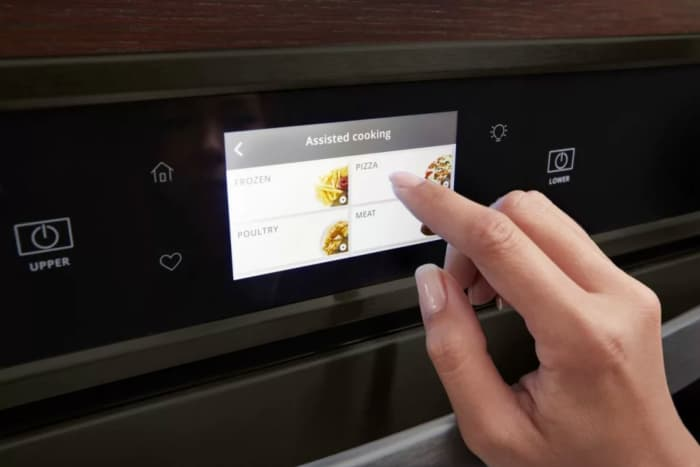 Featured with huge touchscreens that make the interaction easy, these new smart fridges make possible things that were just unimaginable few years ago. Food management also becomes tech-aided. Expiration labels can be associated to individual food items so that the fridge itself can remind us when something is close to expiration. 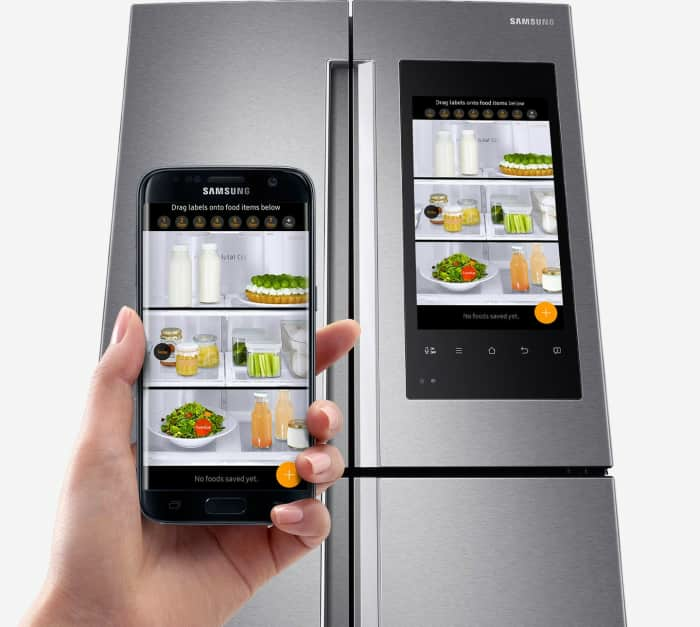 Also, internal built-in cameras allow to see inside the fridge from anywhere, making grocery lists a thing of the past. 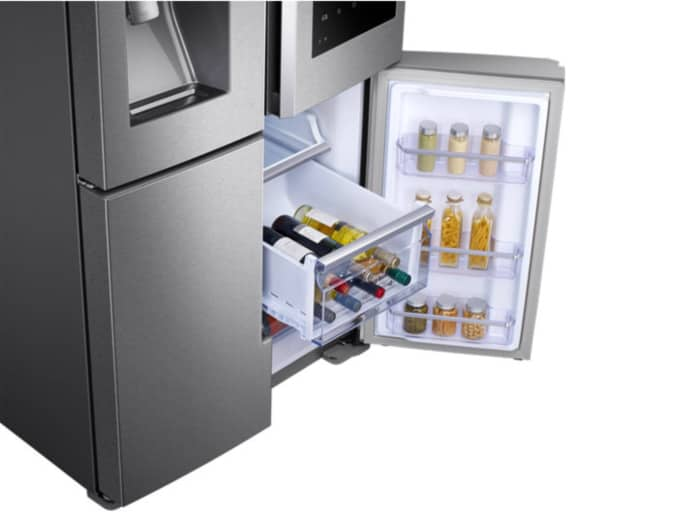 In smart kitchens, fridges are equipped to become the centre of family life. 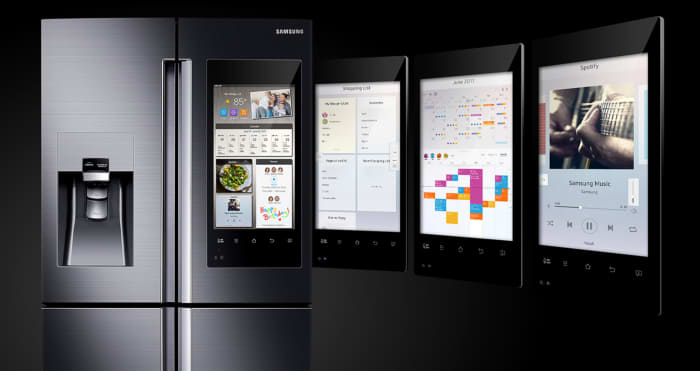 The calendars of all family members can be synced and viewed on the fridge screen, and one can send out notes, memos and photos from the fridge (as curious as it sounds). Home entertainment also comes to the fridge, which can play online streamed music and mirror the screen of a TV or smartphone, making for a real smart home experience. "Alexa, tell the coffee machine to make a cappuccino"
This is just one of the questions that will become common to ask in the future-of-cooking era. 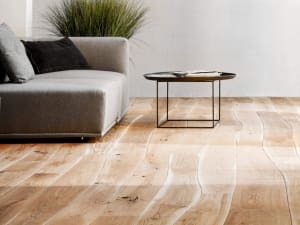 And the list continues, making it possible to set timers, switch appliances on and off, ask advice on a recipe or check on the completion of a cooking/washing program. All completely hands-free. 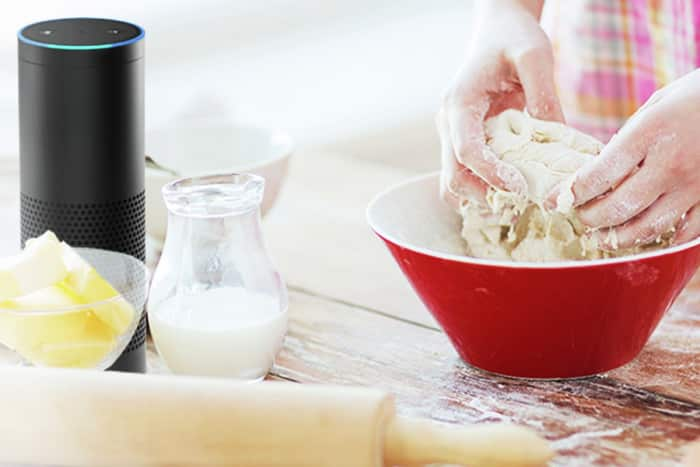 This magic happens when smart kitchen appliances are connected to a voice service. And it actually extends out of the kitchen as well; wherever there’s a hi-tech object, this can be voice-controlled. Definitely, voice control is going to be the paradigm of smart house technology and is going to totally change the way we live at home. Welcome to the future! Back to my starting question, _“Can technology disrupt the way we cook?”_Well, I think now I can confidently say yes! The future of cooking is definitely going to be drastically different from anything it has been so far. I have to say all of these kitchen innovations sounded a bit futuristic to me at first. But, whether we embrace the change with enthusiasm or with doubt, one thing is for sure: “I have no time” and “I can’t cook” will soon not be valid excuses anymore!